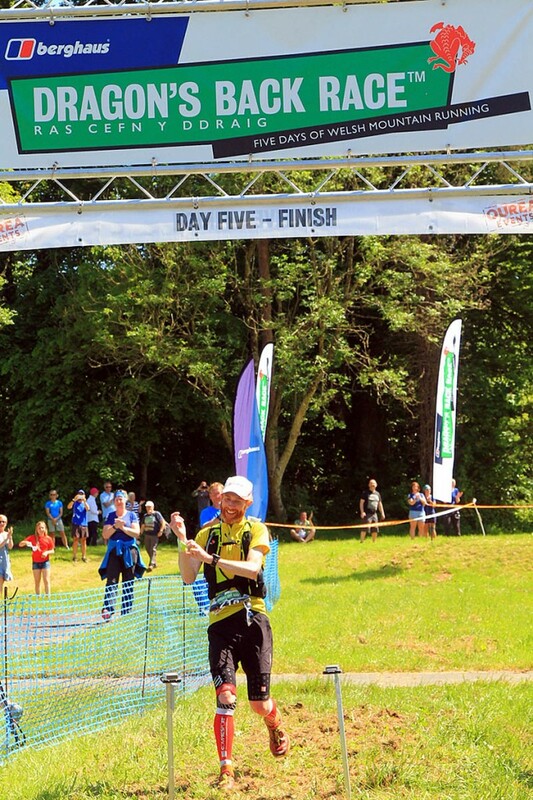 Ultrarunner Marcus Scotney overcame injury worries to clinch victory in the gruelling Berghaus Dragon’s Back Race. 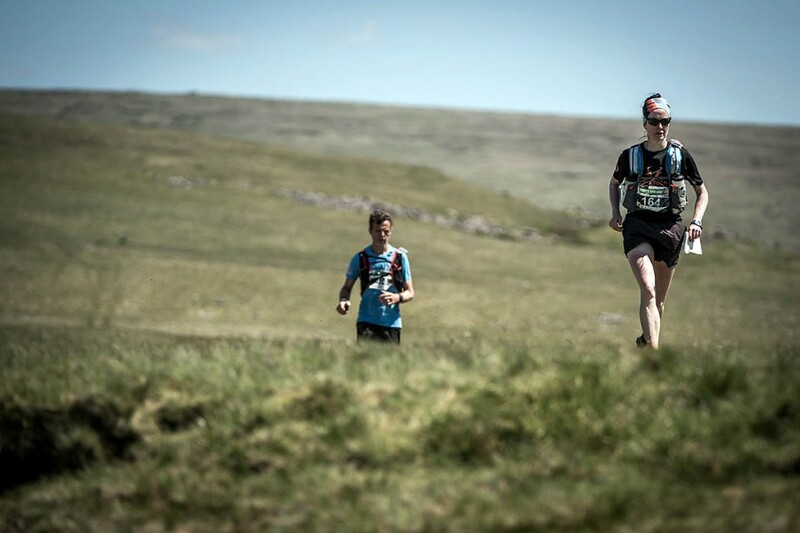 He beat defending champion Jim Mann on the final day of the five-day race down the spine of Wales. In the women’s race, Ireland’s Carol Morgan caught and passed overnight leader Sabrina Verjee to claim the title. Friday saw another hot day of competition in the Welsh mountains and at the end of 315km (196 miles) and 15,500m (50,850ft) of climbing, 127 of Monday’s 223 starters completed the full race. After day four, Marcus Scotney was concerned about a knee injury and there were doubts that he would start the final stage at all. However, there was no sign of Scotney being hampered by the injury as he stretched his overnight lead over Jim Mann, crossing the Black Mountain and finishing on the outskirts of Llandeilo. Scotney completed the race in 37hrs 58mins – 6hrs 12mins on the day – more than an hour-and-a-half ahead of Mann, who finished in 39hrs 38mins. Third place was claimed by Neil Talbott in 41hrs 53mins, completing a top three for Great Britain. Marcus Scotney said after the race: “It’s not really sunk in. I thought it was over last night and that I wouldn’t be able to run, but today I decided that I had come here to complete the race and to win, and that I had to give it a go. It was a tense finale in the women’s race, with the three leading runners separated by only 15 minutes at the start of the day. In the end, it was Carol Morgan of Ireland who crossed the finish line in Llandeilo first in an overall time of 48hrs 43mins, and 7hrs 57mins on the day. During the day, she overhauled Sabrina Verjee’s lead and then built a winning margin of 45 minutes. Verjee completed the race in 49hrs 28mins, with Caroline Mcllroy third in 50hrs 23mins. 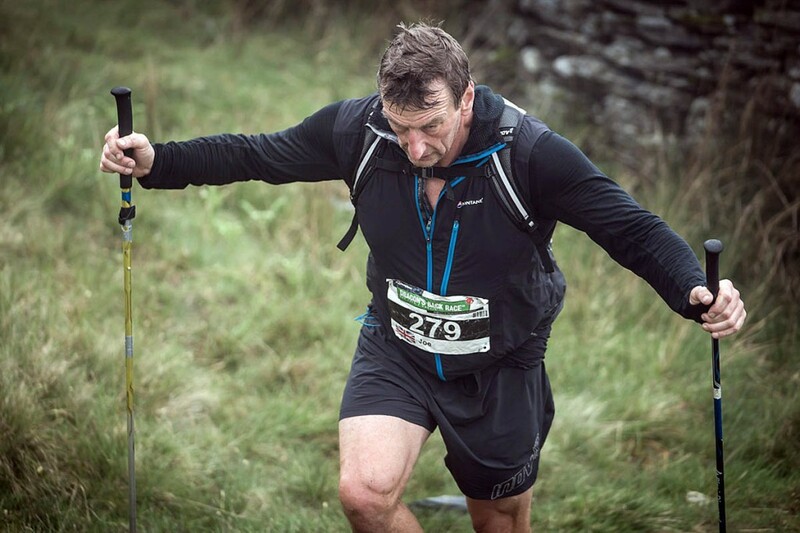 In winning the event, Morgan became the first international winner of the Berghaus Dragon’s Back Race. Like the men’s winner, Morgan was struggling to come to terms with her victory. “I’m really not sure how I feel right now,” she said. “I was so nervous this morning. I get nervous before a 5k race and have never done anything this hard so there was more to be worried about. I didn’t know what would happen or how I’d cope on a fifth day, and the other two runners are very strong. Elsewhere in the field, competitors worked hard in the heat to ensure that they made the cut-off times and completed the full race to earn their coveted dragon trophies. Among them was Joe Faulkner, who became the only person to complete all four the Dragon’s Back Races since it was first held in 1992. Berghaus Dragon’s Back Race director Shane Ohly said: “The event had its first chasing starts since 1992 and the women’s race was fantastically close, with three competitors within 15 minutes of each other at the start of today. Each of them suffered in the heat, but Carol had a very strong final day and that proved to be crucial.